With exceptional 180° panoramic view of the sea and the 12 neighboring islands, these luxury suites boast a panorama of exception ! 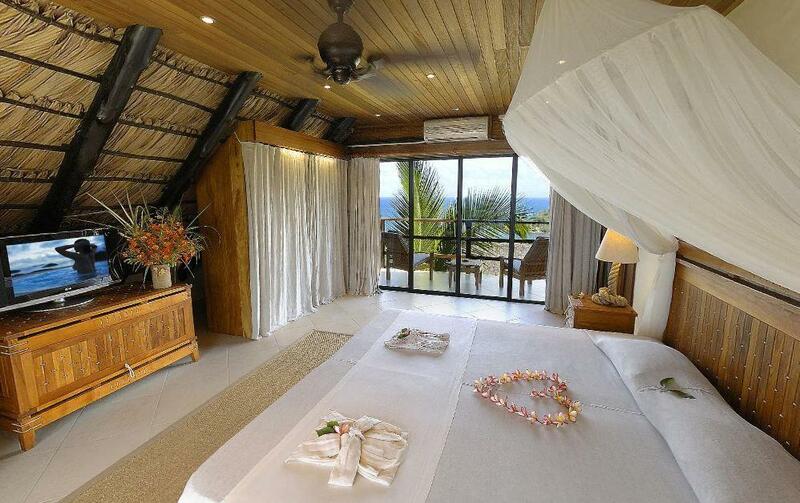 There are two splendid luxury Suites (each 50m2) located in a 2-story house set amongst the tropical garden. office corner with Imac computer at your disposal, and a luxury bathroom with glass basins, shower and tub overlooking the sea. 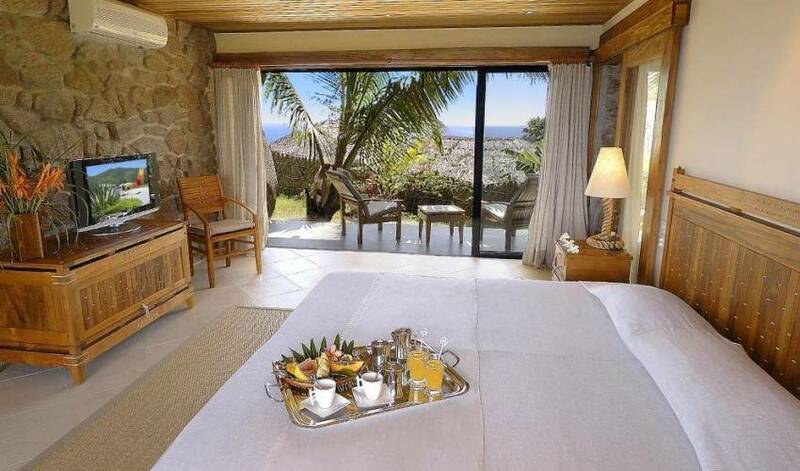 Each suite opens onto a large terrace with teak-flooring, or balconies depending on the suite. 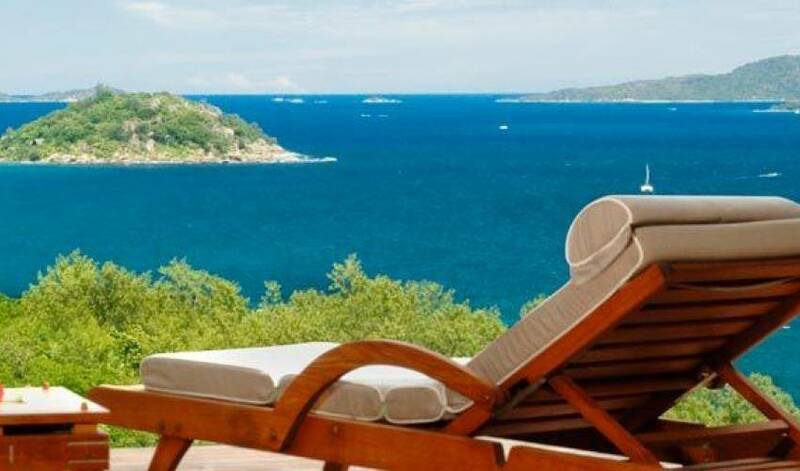 Suite Nr 4 is located on the ground floor and opens onto a terrace and a private garden and offers two ocean views, one with exceptional panoramic quality. 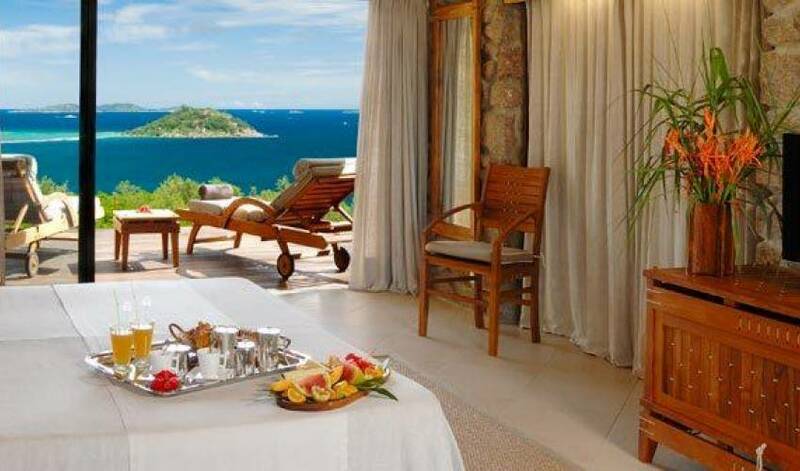 Suite Nr 5 is located on the first floor, and opens onto two balconies and offers two exceptional panoramic ocean views! Immerse yourself in a divine experience and restore your inner balance. Our massages are ceremonies of wellbeing and total relaxation, performed in a charming ocean view villa. The therapeutic and relaxing treatments are designed to relieve stiffness and soreness, and restore energy and balance. Enjoy rejuvinating, calming, regenerative or energetic massages applied with a blend of essential oils which appeal deeply to the senses. The hot stone "chakra" massage melts tension away with smooth heated basalt stones, placed on your tension -prone areas that will be soothed with the right amount of pressure to encourage muscles to warm up and relax and encourage your body's healing potential. Swimming pool with MagnaPool System = a crystal clear natural mineral water of excellent quality ! Enjoy our pool with the MagnaPool system that delivers a healthier and more environmentally friendly alternative to traditional salt or heavily dosed chlorinated pools. Our splendid swimming pool overlooking the sea and surrounded by palm-trees, is at your command for sweet and refreshing moments. Fresh fruit cocktails are served, to enjoy in long chairs that invite to well-being and relaxation in the best luxury Relais Chateaux hotel in Praslin Seychelles. 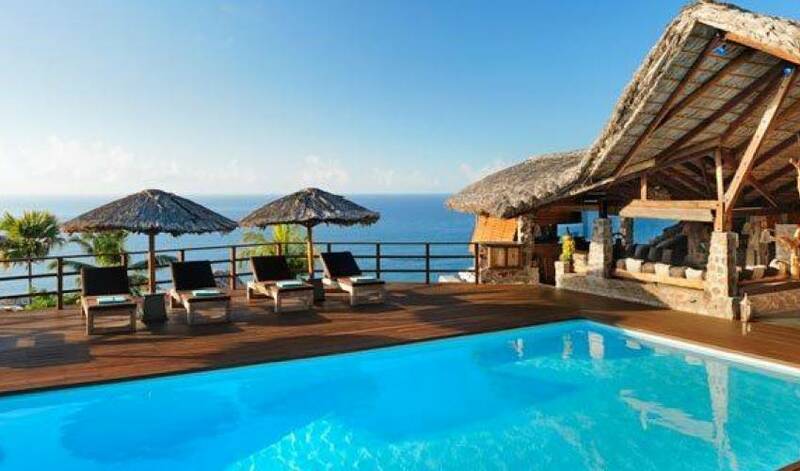 Enter the spillover Jacuzzi with a 300º view on paradise : the most amazing panorama of the Seychelles! A stunning sight by day as by night. Our elegant Restaurant, considered one of the best of the Archipelago of Seychelles, proposes an excellent variety, rich in color and taste. Our Chef designs his creations based on quality and authenticity of products (exotic and natural ingredients, fresh ocean fish,...). 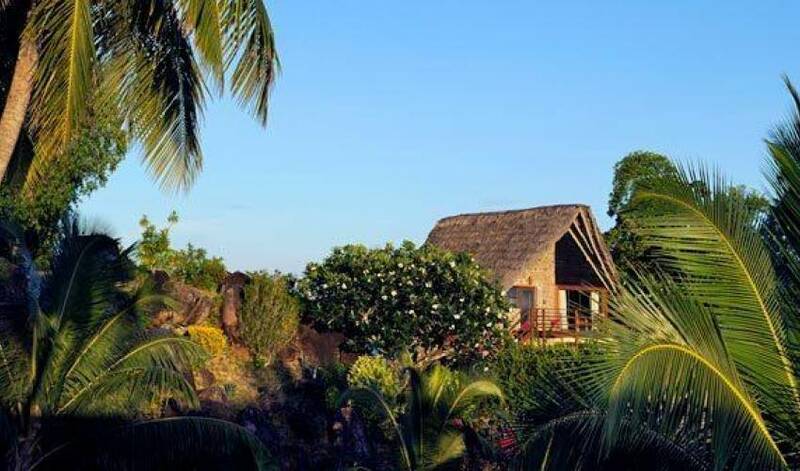 The hotel features its own organic Chef’s Garden (vegetables and fruits grown under the sun of Seychelles). Tempting flavours and enchanting aromas meld into delectable cuisine. Our Chef can prepare meals that meet your specific diet needs : vegetarian, gluten free, halal food, food allergies,... you just need to inform us upon your arrival! Surrounded by the wonders of the crystal blue ocean and quietly nestled amidst swaying palm trees, birds of paradise, exotic orchids and colorfull tropical flowers, Villa 110 offers an unrivalled level of style and service. The island Praslin presents a wealth of fabulous sites, such as: “Vallée de Mai”, a protected valley, home of the famous Marine Coconut known as Coco-Fesse (due to its suggestive shape), a protected species the inhabitants of Seychelles are very proud of. The surprising Vanilla trees, and a number of very rare exotic bird species like the Black Parrot. 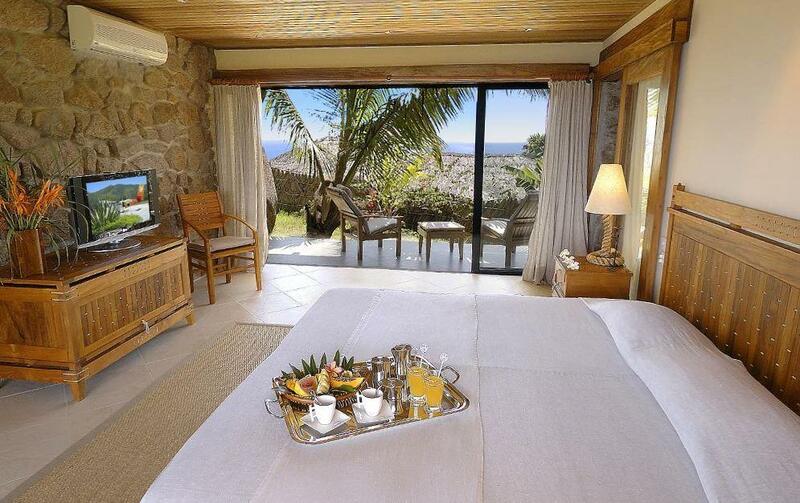 Villa 110 is the perfect place to stay during your trip to Seychelles. We can arrange for you not to miss excursions to make you discover all the wonders and beautiful islands and beaches of Seychelles. Our splendid private island known as one of the most beautiful islands of Seychelles, is located 30 minutes away from Praslin. Our fast catamaran takes you there over the weekend. 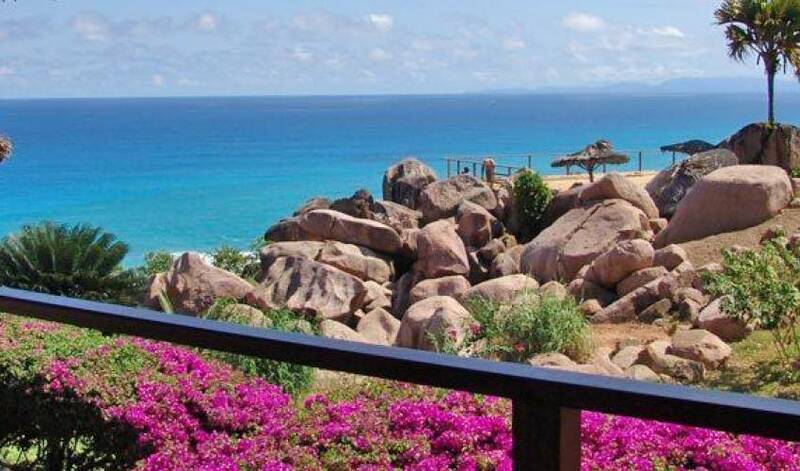 The Island is popular for excursions on account of their spectacular panoramas and the excellent opportunities for snorkelling and diving in waters where the marine life is prolific. More than ten giant land turtles inhabit the island. The island is exclusively yours during the weekends : a magical and unique adventure ! As the Seychelles islands are blessed with a year long warm, tropical climate, it’s always a good time for swimming, snorkelling and diving. The water temperature reaches often 27ºC and visibility is often 30 metres plus. Located just a few minutes walk from the hotel, the white fine sand beach of Anse Marie-Louise is a haven of peace and beauty to swim in the warm waters of the Indian Ocean. Thanks to your complimentary car, you can enjoy all the beautiful white sand beaches of Praslin (like Anse Lazio voted as one of the best beaches by many travel publications) and go swimm in the most sheltered and transparent waters. - Helicopter :The resort has a private heliport, which is available to guests upon request. Our partner company, L’Air DeZil offers direct helicopter transportion services from Mahe Airport. - Plane : Air Seychelles operate a shuttle service between Mahe and Praslin, flying many times every day. - Boat : Catcoco modern catamaran operates between Mahe and Praslin (1 hour). It is with pleasure that we can take care of booking the interisland transfers for you.